Non Peninsular region comprising of Delhi, Jammu and Kashmir, Punjab, Uttaranchal, Himachal Pradesh, Uttar Pradesh. North India has been known for dramatic history of emperors including Mauryas, Guptas, Mughals and British rule. 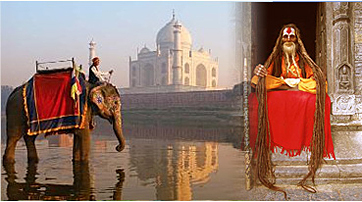 States of North India have rich and diverse culture and customs. From the various sacred rivers such as Ganga, Yamuna to monuments like Red fort, Taj Mahal are example of diversity. Delhi being capital of India is important politically as well as famous for brilliant monuments and museums such a Lotus temple, Parliament house. Uttar Pradesh and Kashmir is known for their breathtaking beauty and is abode of enchanting hill stations. All the cities in north India are well connected with each other as transport facility is effluent. North India starts from snow covered mountains to valleys in middle and to wildlife sanctuaries.